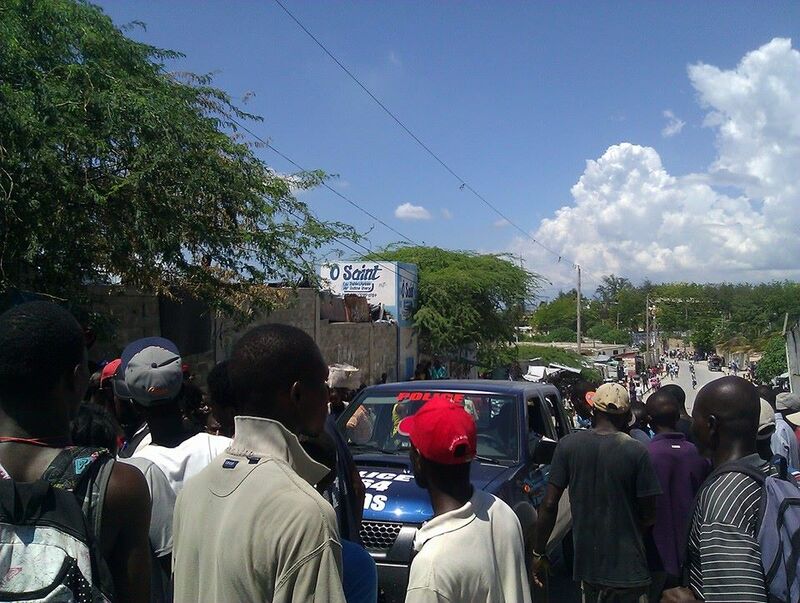 President Jean-Bertrand Aristide returned to Haiti in March 2011. 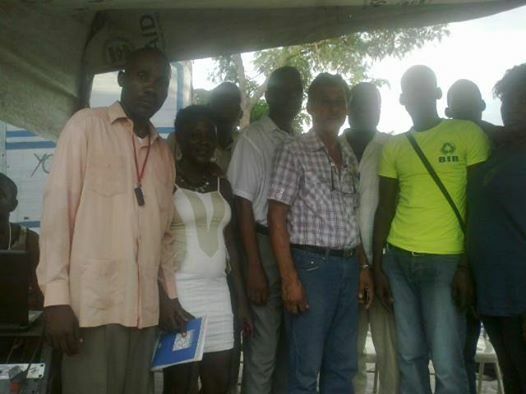 Upon his return he stated that he would commit himself to help educate Haiti’s citizens through the Aristide Foundation. He has kept that promise by opening a medical school, a law school, a nursing school, and early next month, in partnership with the State University of New York at Stony Brook, the first School of Physical Therapy designed to assist the victims of the 2010 earthquake, all under the national university at the Aristide Foundation known as UNIFA. The medical school is now in its third year and the Dean is a former Minister of Health and former Director of the Red Cross in Haiti. The law school is in its second year and the former Dean of the University of San Francisco Law School, Jeff Brand, has served as an international visiting dean. Over the past weekend, while both President Martelly and his Prime Minister were out of the country, threats were repeatedly made on the radio and in public that the government will close both the Aristide Foundation and UNIFA. Simultaneously, police officers in black uniforms, some apparently hooded, appeared to surround President Aristide’s home at Tabarre. They have returned this morning (September 29, 2014). 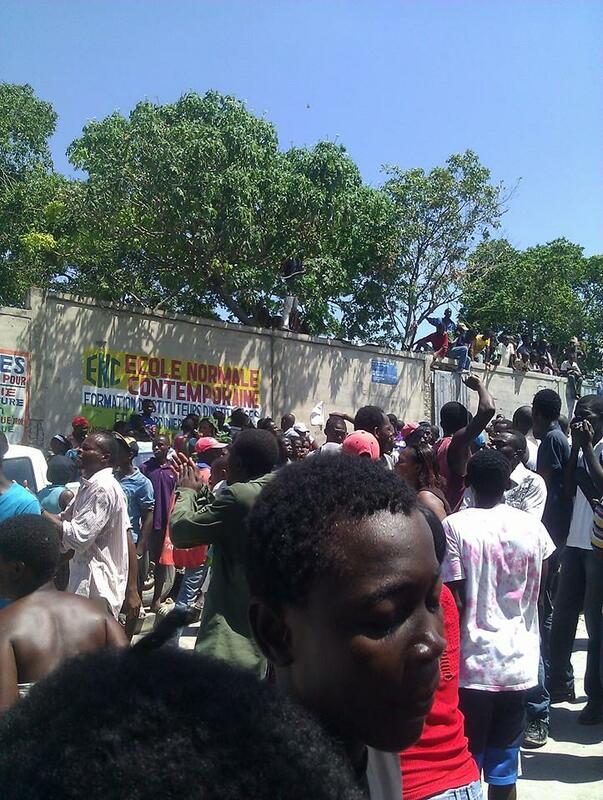 These actions followed the unexplained decision to remove Presidential security at President Aristide’s home in August. Under Haitian law, former Presidents are granted security for themselves and their family and former President Preval apparently continues to receive such protection. At present, neither President Aristide, nor his U.S. citizen wife and children are receiving government protection. The current investigation, which has been used as a pretext to remove Aristide’s presidential security, place him under “house arrest” (non-existent under Haitian law), and threaten him with physical incarceration and closure of the Foundation and UNIFA, is a classic example of a political prosecution. 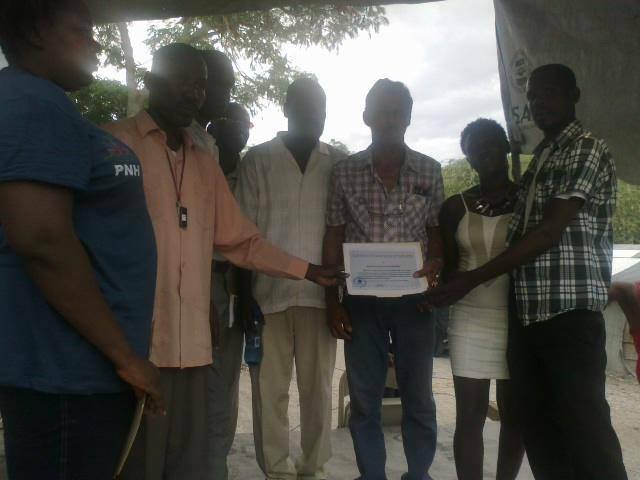 In a report issued by the National Human Rights Defense Network (RNDDH) in Haiti, the prosecution has been described as “defying all logic,” “acts of provocation,” and utilizing the case “for political ends.” The investigation is ostensibly one involving 10-year old money laundering charges that are time barred, and trafficking in illicit drugs charges that were originally pursued by the U.S. and found to be meritless. However, it has been used to cast a wide net, not only against President Aristide, but many members of his political party, Lavalas, and even some U.S. supporters. 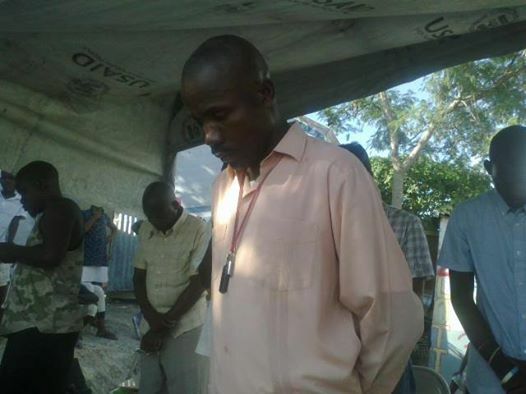 The magistrate conducting the matter is widely viewed as a political weapon wielded by Martelly, who did not meet the 5 year bar qualifications under Haitian law to be a magistrate and has been disbarred by the Haitian Bar Association in Port-au-Prince for 10 years the day he steps down as a magistrate. 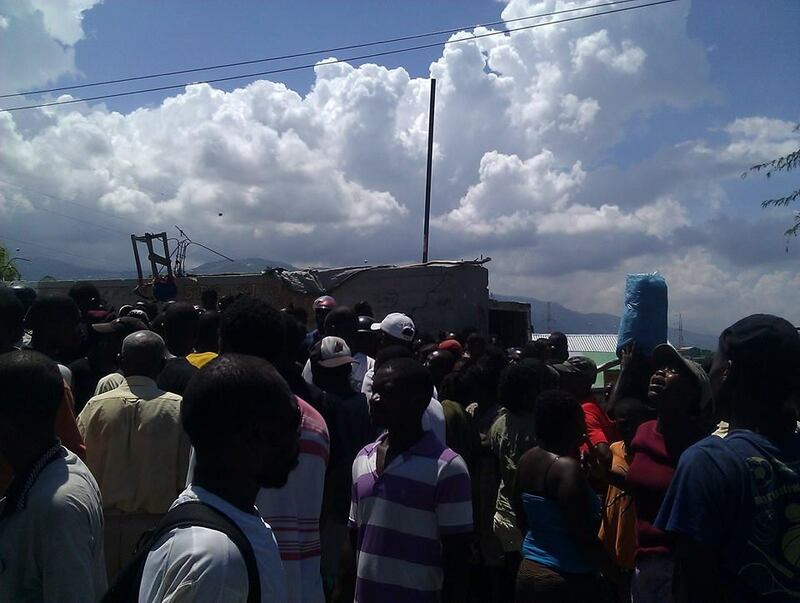 Every action in the prosecution from the service of the summons to the declaration that Aristide is under house arrest has been in violation of Haitian law. 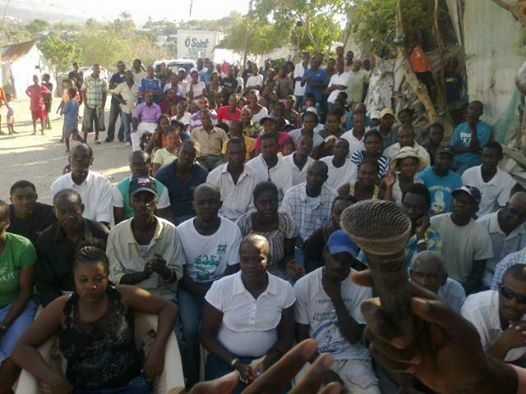 Many in Haiti believe that this political prosecution is a smoke screen to divert attention from the failure of the Martelly government to hold elections. The unwillingness of Martelly’s government to take the appropriate steps toward an election will mean that in January there will be no functioning parliament and Martelly, like his protégé Duvalier, will be able to rule by decree. 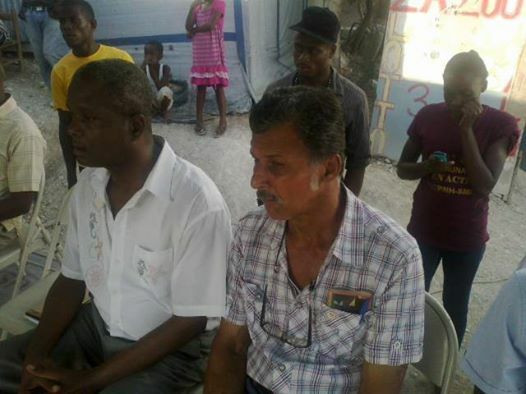 It is also an attempt, once again, to exclude the Lavalas Party from participating in elections that many observers believe they would win. The escalation of events against President Aristide are viewed as efforts to see how far Martelly can push without response from the international community. 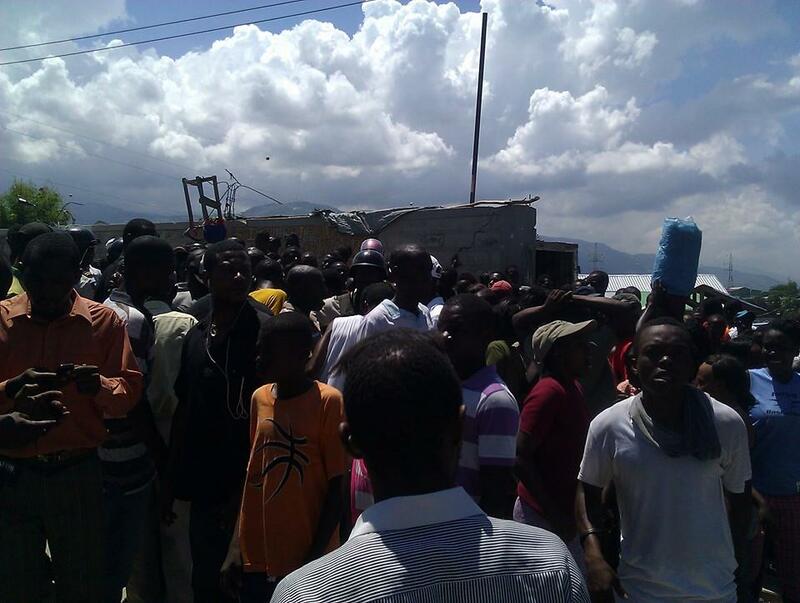 If a loud chorus of disapproval is not heard against the tactics of the Martelly government, both Aristide’s life and the future of democracy in Haiti are at risk. Marie Yolene Gilles Colas, National Human Rights Defense Network, “In the matter of Jean-Bertrand Aristide/Lamarre Belizaire: Who is protecting persons before the justice system from arbitrary conduct of Magistrates? 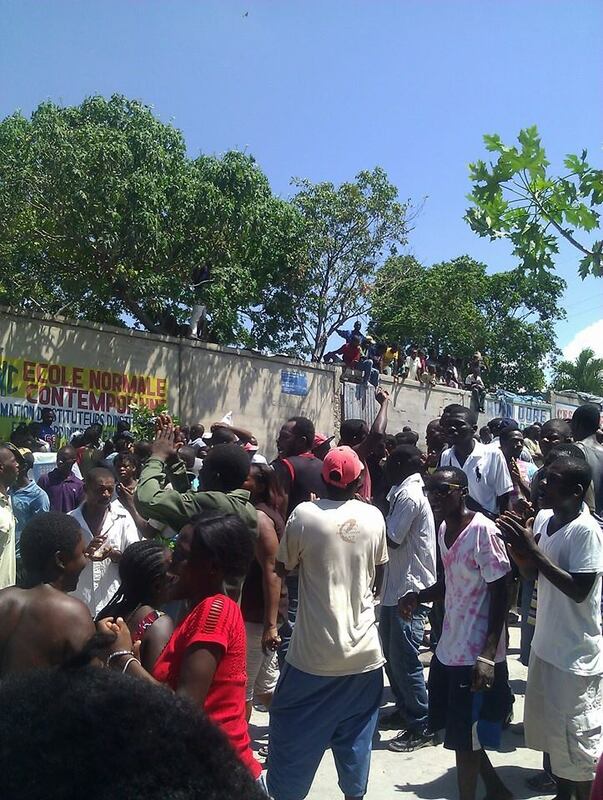 ON SATURDAY MORNING, MASKED HAITIAN POLICE SURROUNDED FORMER PRESIDENT JEAN-BERTRAND ARISTIDE’S HOUSE, AS HAITIAN RADIO STATIONS BROADCAST NEWS THAT HE WOULD BE IMMEDIATELY ARRESTED. HUNDREDS OF PEOPLE RALLIED IN FRONT OF THE HOUSE, VOWING TO STAY THERE TO PREVENT HIS ARREST. THIS IS THE HAITIAN GOVERNMENT’S RESPONSE TO THE LAVALAS MOVEMENT’S CALL FOR DEMONSTRATIONS ON TUESDAY TO MARK THE ANNIVERSARY OF THE SEPTEMBER 30TH, 1991 COUP AGAINST PRESIDENT ARISTIDE. IT IS PART OF A PATTERN OF INTIMIDATION THAT HARKENS BACK TO THE DAYS OF THE DUVALIER DICTATORSHIP. 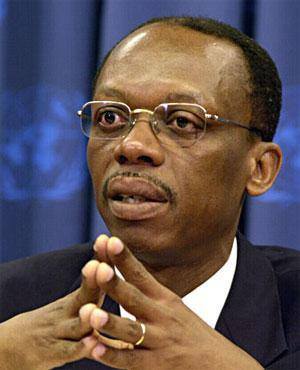 ON SEPTEMBER 12TH, AT 1 A.M., THE HAITIAN GOVERNMENT REMOVED THE SECURITY DETAIL THAT HAS BEEN GUARDING FORMER PRESIDENT ARISTIDE AND HIS FAMILY SINCE HIS RETURN TO HAITI IN 2011. 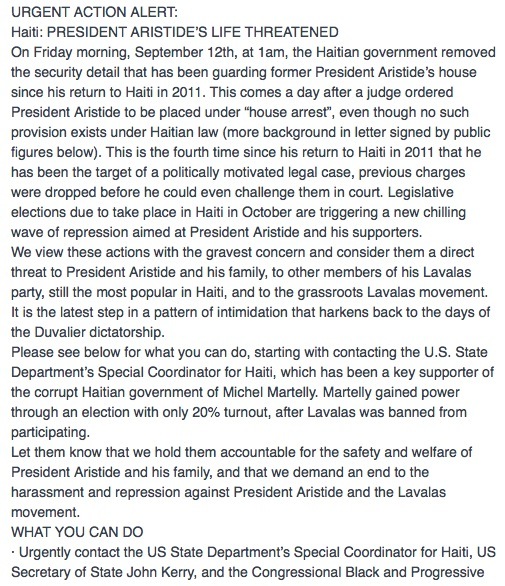 THIS CAME A DAY AFTER A JUDGE ORDERED PRESIDENT ARISTIDE, HAITI’S FIRST DEMOCRATICALLY ELECTED PRESIDENT, TO BE PLACED UNDER “HOUSE ARREST.” UNDER CURRENT HAITIAN LAW, “HOUSE ARREST” DOES NOT EXIST, BUT IT WAS USED FREQUENTLY AS A FORM OF REPRESSION BY THE DUVALIER REGIME. WE VIEW THIS WITH THE GRAVEST CONCERN AND CONSIDER THESE DEVELOPMENTS A DIRECT THREAT TO PRESIDENT ARISTIDE AND HIS FAMILY. 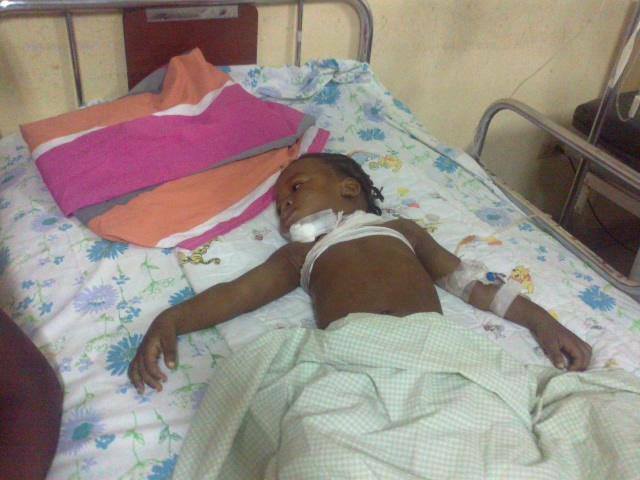 PLEASE CALL THE U.S. STATE DEPARTMENT’S HAITI DESK. 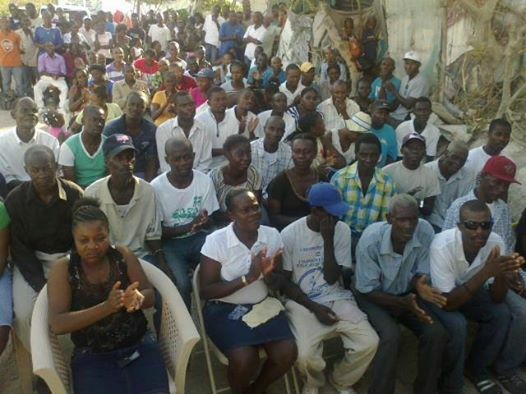 THE UNITED STATES HAS BEEN A KEY SUPPORTER OF THE HAITIAN GOVERNMENT OF MICHEL MARTELLY. LET THEM KNOW — GIVEN THEIR INFLUENCE ON THE MARTELLY GOVERNMENT – THAT WE HOLD THEM ACCOUNTABLE FOR THE SAFETY AND WELFARE OF PRESIDENT ARISTIDE AND HIS FAMILY, AND THAT WE DEMAND AN END TO THIS HARASSMENT AND REPRESSION AGAINST PRESIDENT ARISTIDE AND THE LAVALAS MOVEMENT. Vendredi 22 Février 2013, le sénateur Ivenson Steven Benoit visite le camp Acra et Adoquin dans le but de connaitre le plan de construction du plan a crédit de Chanjem leson.